Yu Darvish's fifth-inning ERA is what?? 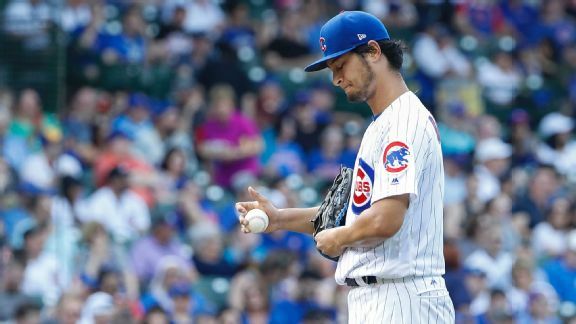 In four of his six starts, the Cubs righty hasn't gotten through five innings -- and the natives are getting restless at Wrigley. 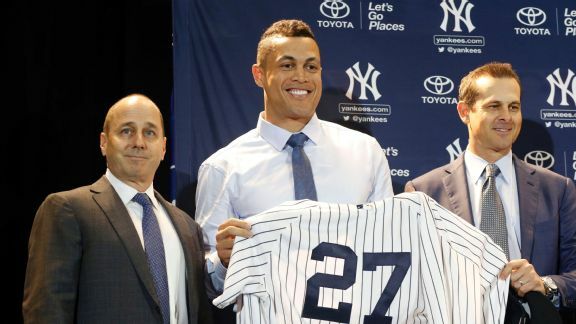 As Giancarlo Stanton and Shohei Ohtani settle in their new homes, we examine how a key factor in where they landed truly separates MLB's two leagues. 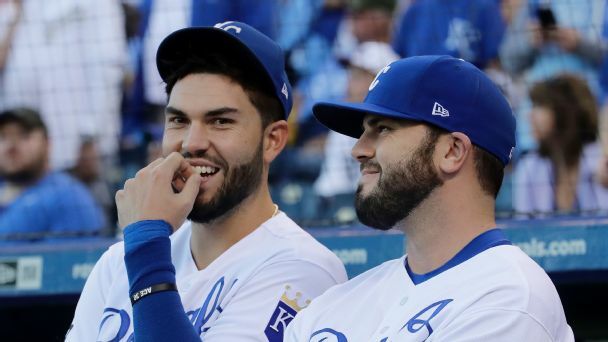 As the hot stove market for hitters finally heats up, we take a position-by-position look at which contenders most need to pay for offense this winter. 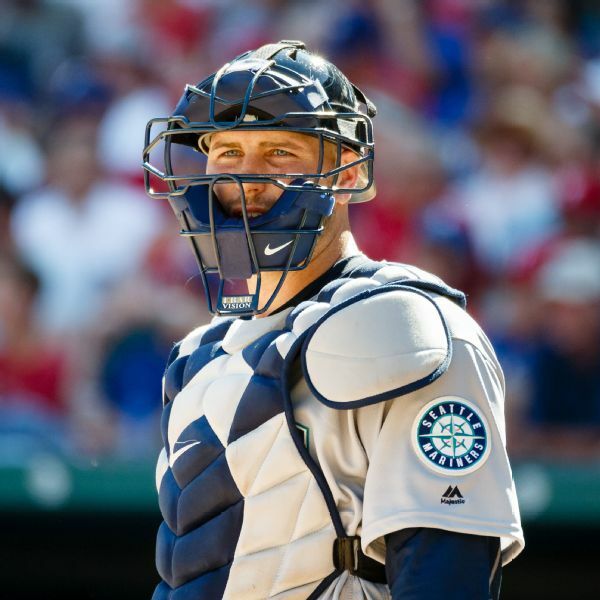 Catcher Chris Iannetta, who spent part of six seasons with the Rockies before being traded after the 2011 season, has agreed to a two-year contract to return to Colorado. 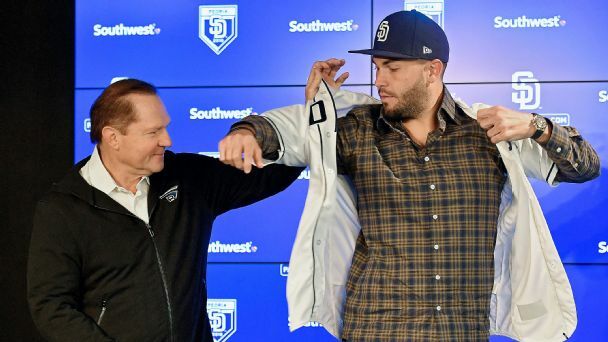 The deal is reportedly worth $8.5 million. 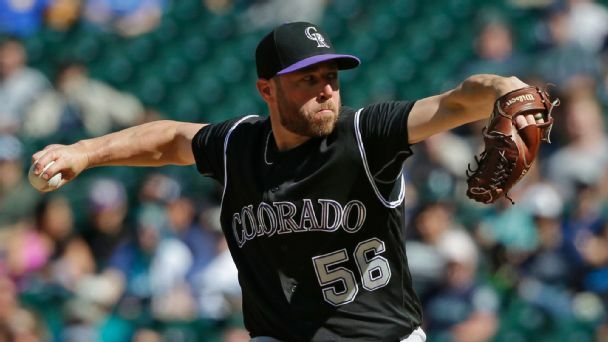 The Rockies took a calculated risk, and it paid off, as the veteran pitcher's All-Star-worthy performance could be topping some other notable names.